Last Friday my friends and I braved Thorpe Park Fright Night! Each year around Halloween we decide to go to Thorpe Park Fright Night because it's amazing! This year we had to of course keep to the tradition. 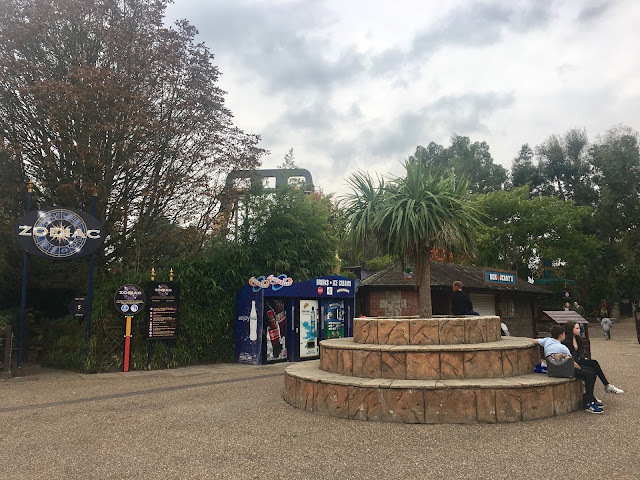 For those of you who don't know what Thorpe Park is, it's a crazy theme park near London, and every year around this time Thorpe Park put on a Halloween fest where not only are the rides open later but live action horror mazes appear around the park too! 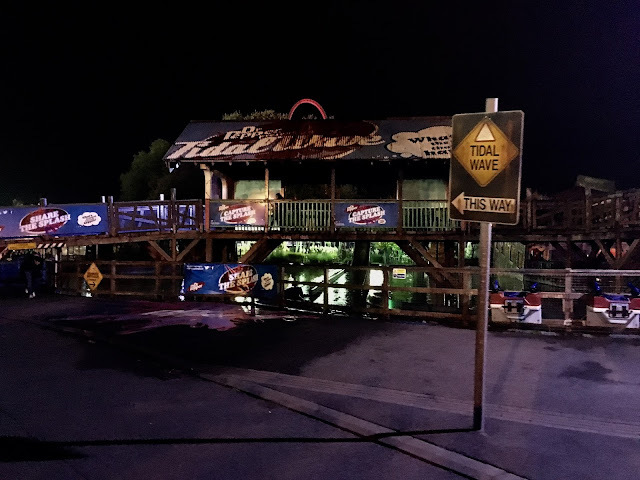 We headed off bright and early to arrive at the park for when it opens (10am). I was in charge of the directions and tunes for the journey, and after an hour of driving and some amazing throwbacks from Iyaz, Justin Beiber and Jay Sean, we arrived at the park! We met the rest of our party in the car park and then went inside. The first ride of the day was Stealth! We didn't want to hold back and so walked straight on to the tallest and fastest ride. Two of my friends had never been to Thorpe Park before and were feeling nervous, but we threw them straight in the deep end and they loved it! We made our way around each of the rides. 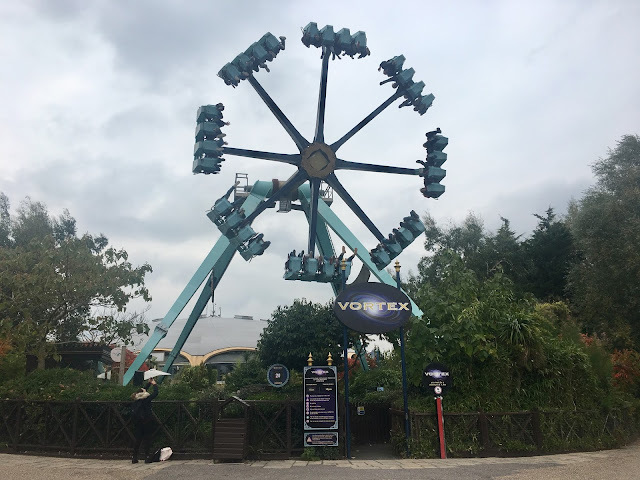 My favourite rides were Samurai, Saw The Ride, Rush, Nemesis Inferno and Swarm. I also loved chilling out on the Rumba Rapids. All the rides at Thorpe Park are incredible and we didn't have to queue for too long. For Lunch there wasn't many healthy options but we settled on KFC. The majority of us had a boneless banquet which was tasty and it was definitely needed to raise our energy levels. I must say that they food at Thorpe Park is quite expensive so I would recommend taking your own snacks and food. 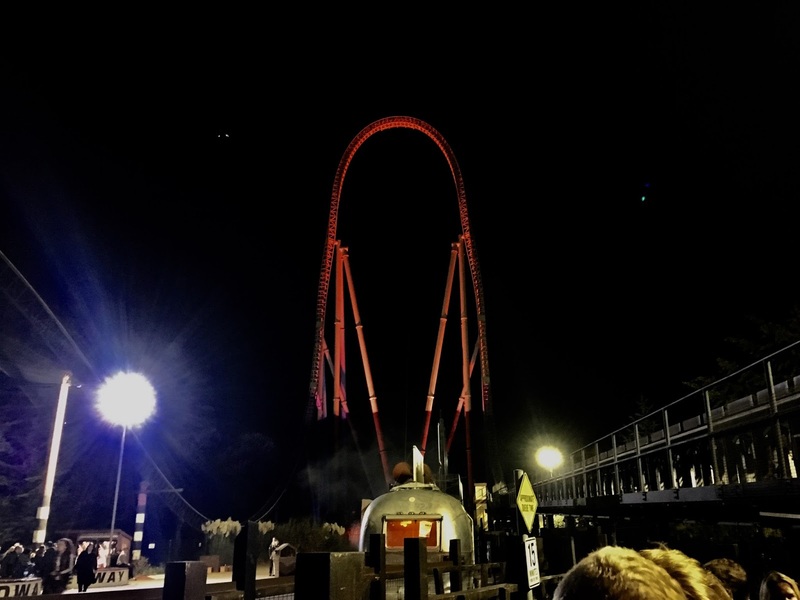 We continued to go on ride after ride until the Fright Night began. At around 3pm creepy characters emerged and wandered around the park scaring various people. Screams were always heard all over the park, and they tended to stem from where the characters were lurking. At 3pm the live action mazes opened too! 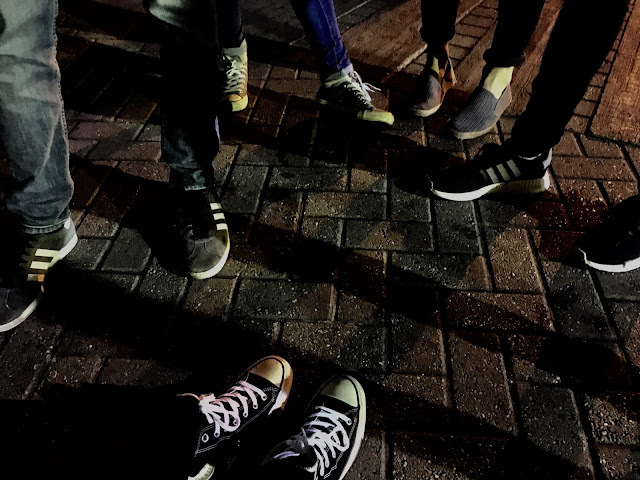 My friends and I decided to wait until a little later when it began to get darker before we braved them. This year was the first year I decided to enter the mazes because in previous years I had been too scared to go in them (I know...I'm a chicken...) I've never been very good with anything do to with gore or horror, and a few years ago I went to a haunt fest in the middle of a farm in Kent, and I hated every minute of it so it put me off trying out these mazes at Thorpe Park. Nevertheless this year I felt braver and my friends had told me they weren't as bad as I was thought - and they were right! The first maze we went into was The Cabin in the Woods live action horror maze. We queued for about 45 minutes and finally went inside. Huddled together as a group, holding hands, we entered the maze. The maze is all indoor and consists of a dark cabin with multiple doors. It is our mission to make our way out of the maze through the doors but we cannot see what is around each corner. We went into the first room, and we carefully treaded inside and nervously looked around everywhere, later to realise we hadn't actually entered the maze yet!! Actors are hidden in the dark rooms and jump out to scare us - and many of us screamed! 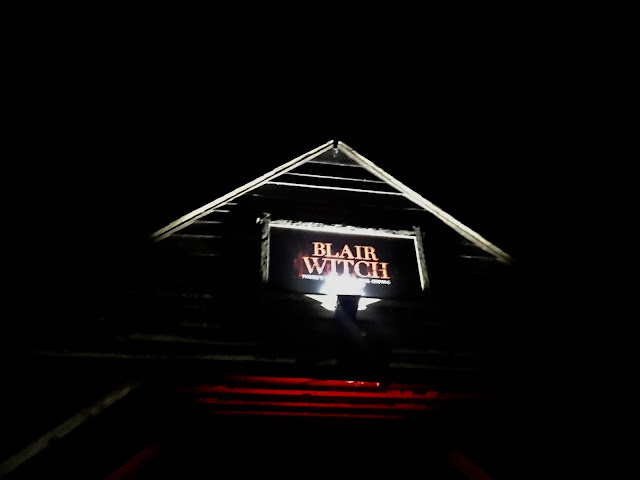 The second of the mazes we entered was The Blair Witch Project, and maze was outside in the woods! The queue for the maze was very long and by the time we got into the maze it was about 9pm so it's fair to say it was very very dark! Huddled together once again, this time linking arms, we walked along a pitch black path amidst bushes and trees. Actors jumped out and ran at us from all directions, and some even followed behind! My friend felt her neck being touched by one of them which is super creepy! At the end of the trail there was a foggy and poorly lit hut. There was no other way but to go inside the hut. Once inside we were stopped, and I couldn't see anything but weird lighting and fog. Suddenly a large figure jumped out at us and we all screamed and ran out! The mazes sound pretty scary don't they but I was actually surprised at how much I loved them! Sadly we only had time to do two of them because the queues were so long, but there were many others. I imagined the mazes being a lot worse than they were, and the fact that I was in a large group of my friends meant that I could laugh and joke my way through them. If any of you ever go to Thorpe Park and are unsure whether to do the mazes or not I would most certainly recommend doing them because they were so much fun! To finish off the day we went on a few more rides which were super cool in the dark, and a squad ride on the dodgems! We didn't actually leave the park until 10.30pm and had been there for over 12 hours!! Let's just say it is certainly worth £30! I had an amazing day at Thorpe Park with an amazing group of friends - it was so much fun! (I just had to include this photo above because it is so funny!!) I truly recommend to anyone to go to Thorpe Park Fright Nights, and in the future I'd love to try out the Ministry of Sound evenings at Thorpe Park because they look amazing! 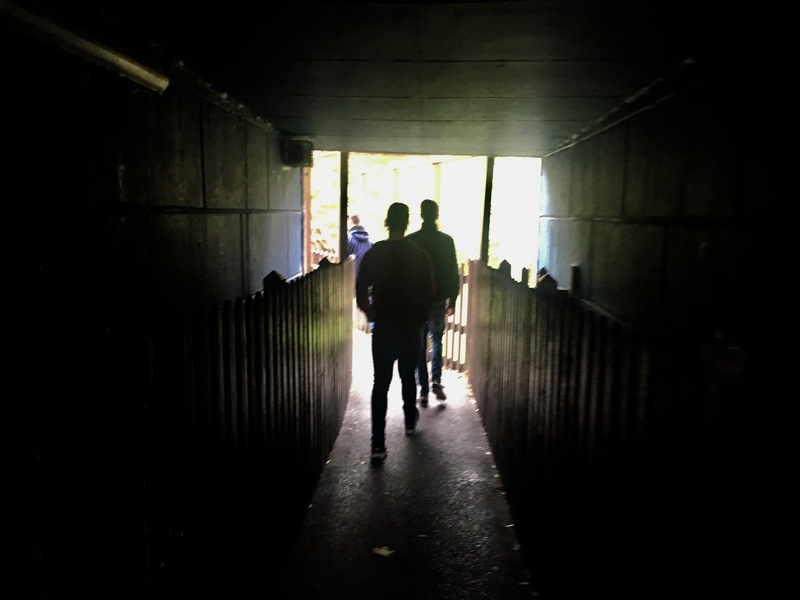 Have you ever been to Thorpe Park Fright Nights?